Isthmian League Premier Division side Cray Wanderers are set for a nervous few months, as their very existence hangs in the balance. The issue is surrounding their proposed return to the Crays, from where they have been exiled since 1972, playing home games at Oxford Road before becoming tenants at Bromley FC’s Hayes Lane ground. They had to move from their Oxford Road home, where they had been for a quarter of a century, due to the Kent League decreeing that all clubs had to install floodlights. Cray were unable to meet the requirements, hence their move to Bromley. In 2008, plans were unveiled for an ambitious development in Sandy Lane, St Paul’s Cray, including a Football League standard stadium along with leisure facilities and a pool. However, these plans were unanimously rejected. Not for the stadium, but for the associated facilities and the way the project was to be funded. The site was to be financed by the building of around two hundred houses and a large hotel on nearby green belt land, something which was wholly rejected. Add to that the fact that there was already a swimming pool opposite the Sandy Lane site, and the project was turned away. Cray are the oldest club in London, and the second oldest in the world, so it is vital to the heritage of our game, not to mention the survival of the club, that they are able to return to their hometown. 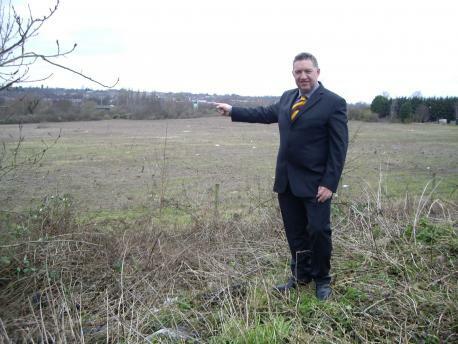 To be fair to the local council, they are keen for the club to return, just not at the expense of precious green belt land, which is understandable. However, with this latest disappointment, and their lease agreement with Bromley expiring next year, this is going to be a tense and nervy few months for The Wands. Posted on September 26, 2013, in UTL Archive and tagged Cray Wanderers. Bookmark the permalink. Leave a comment.